I love fondue; especially in the month of February. It is warm, comforting, romantic, delicious, simple and fancy all at the same time. At our house, we love to indulge in chocolate fondue on Valentine’s Day. We dip strawberries, oranges, bananas, apples, marshmallows, pound cake, and even animal crackers in milk chocolate. Thus, I tend to think about chocolate when I think about fondue. Interestingly though, the beginnings of fondue have nothing to do with chocolate. Fondue comes from the French word fondre, meaning to melt. 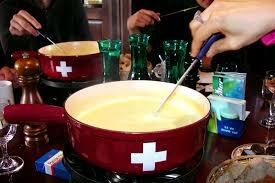 Although the word origin is French, Fondue actually became popular in the country of Switzerland. The first known recipe for fondue was published in a cookbook in Zurich in 1699. The recipe was called, "Käss mit Wein zu kochen", which means, “to cook cheese with wine.” The directions said to melt cut up cheese with wine and to dip bread in it. During the long, hard winters in Switzerland, when fresh food was limited, it became a way of life for people to sit around a fire with a communal pot and dip their stale bread in melted cheese. Fondue did not become popularized, however, until the 1930s when the Swiss Cheese Union promoted fondue as a way to increase cheese consumption. In America, cheese fondue was promoted at the 1964 New York World’s fair by the Swiss Pavilion’s Alpine Restaurant. Besides cheese and chocolate, there are other types of fondue. Fondue Bourguignon is a way of cooking meat in a pot of hot oil. Some people believe that this form of fondue dates all the way back to the Middle Ages. Vineyard workers in the French region of Burgundy would heat a pot of oil and leave it on throughout the day. Whenever the workers took a break, they would come over the oil pot and cook some meat to eat. Another type of fondue is Fondue Chinoise. This type of fondue originated in Asia. It involves cooking meat and vegetables in a pot of hot broth. 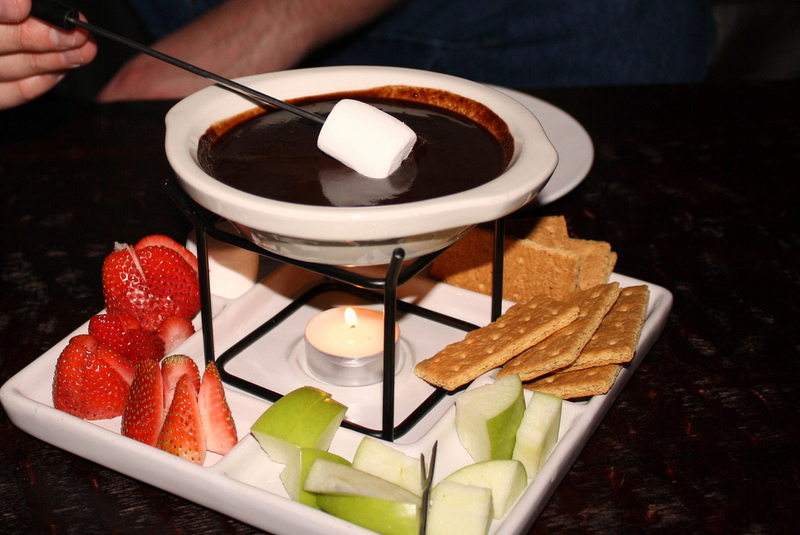 If you’ve ever been to The Melting Pot restaurant, you may have sampled all of these types of fondue. But since most of our budgets don’t allow us to visit The Melting Pot on a regular basis, you can make fondue at home! 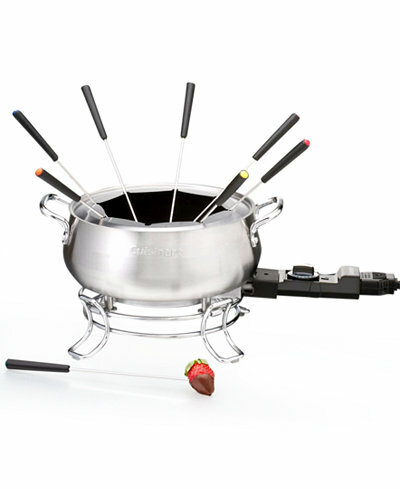 There are fancy fondue pots you can buy that come with long –handled forks for dipping. While these are so much fun and I would highly recommend one, you don’t have to have a fondue pot to make fondue. A regular pot will work great! I often make fondue in a pot on the stove and then transfer it to a crockpot to keep it warm for dipping. There are lots of amazing fondue recipes out there. I would like to share one cheese fondue recipe that I love! I prefer not to cook with alcohol, so this recipe is more of a family-friendly cheese fondue. Our family loves to dip broccoli, cauliflower, bread, chicken pieces, and apples in the cheese. What would you dip? Give fondue night a try!